The Durango Planning Commission has recommended approval of the Durango Mesa Area Plan to guide development of a park and recreational complex that would include a new fairgrounds and a cultural and special-event center on 1,900 acres on Ewing Mesa. How hard could it be to approve an early plan for a 1,900-acre park with visions of a new fairgrounds, athletic and sports fields, and a cultural and special-events center that would provide a music venue for Durango? Turns out it wasn’t too difficult. 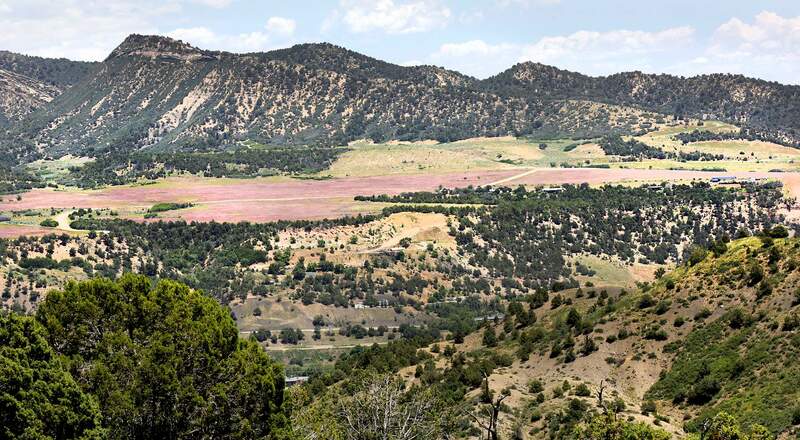 The Durango Planning Commission voted 4-0 to recommend approval of the Durango Mesa Area Plan, a document that promises a recreational and cultural wonderland that would be built in phases on what was formerly called Ewing Mesa. The Durango Mesa Area Plan will go to City Council on Aug. 21 for final approval. “The city and you all have an incredible opportunity,” said Pedro Campos, a landscape architect with Avon-based architectural and master planning firm Zehren & Associates. The three major elements in the Durango Mesa Area Plan include an athletic and sports field complex at the north end of the property, a new La Plata County fairgrounds/multi-events center in the middle and a cultural and special-events center at the south end. In addition, areas too steep to develop would be preserved as open space, and another 400 acres of the property would be reserved for development of specific-use trails – individual trails designated for mountain biking, hiking and horseback riding. A BMX course, which might be one of the first things developed, is included in the plans. The big stumbling block, as is often the case, is finding the funding to finance the grandiose ideas for the recreational mecca on the mesa, served with a tram or gondola to limit car trips to the park. Parks and Recreation Director Cathy Metz noted a dedicated funding source is in place to help finance the dreams – a portion of the 2015 voter-approved extension of a quarter-cent sales-tax increase for parks, open space, trails and recreational facilities is devoted to park development. Planning Commissioner Kim Baxter suggested dedicating the 1,900 acres to a conservation easement as another avenue to pursue funding. The co-founder of Durango startup Mercury Payment Systems, Marc Katz, bought the land on Ewing Mesa adjacent to Horse Gulch in 2015 and announced plans to eventually donate it for public use. The plan presented Monday to the Planning Commission involved consultations with the Katz family to ensure design elements were true to the family’s vision. The plan encapsulates La Plata County’s desire to build an expanded fairgrounds that would include what was described as “a community barn” that could accommodate events of up to 8,000 people. The area would provide a location for a special-events center within a mile of downtown. A pedestrian promenade would connect the three areas of the complex, and the path would graze the area reserved for specific-use trails – offering access there as well. Plans also call for a transit area, providing access for buses and other mass transit options. Even ideas for gondolas or electric vehicles from downtown to the mesa-top park’s transit area have been bandied about. While the dreams are big, Campos noted the plan calls for phased developments that delay work on various aspects of the park until solid funding is lined up. “This is going to take some time. It’s not going be 1,900 acres all at once. It’s going to be incremental,” he said. Commissioner Peter Tregillus cautioned that projects like Durango Mesa do little to address the affordable housing shortage in Durango, and it even may make the problem worse. He said he toyed with the idea of voting “no” on the project, but the recreational and cultural opportunities it promises are too enticing. “This is great for me. It’s going to make my house more valuable. But it’s not helping the person working at Conoco,” he said.